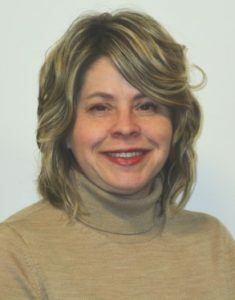 Shelly McPhail is the National Consumer Law Center’s Grant Writer and Researcher, working closely with NCLC’s staff to identify and to expand NCLC’s portfolio of foundation, government, and corporate support. She focuses on strategic and effective communication to maximize the diversity of audiences funding NCLC’s work. Previously she served as the Director of Development at both Community Legal Services and Counseling Center and at Greater Boston Legal Services. She has also worked in membership and direct marketing for the Archaeological Institute of America and as an editorial and marketing assistant at the Smithsonian Institution; as a grant writing consultant; and as a direct mail consultant for the National Museum of Women in the Arts, Conservation International, and Co-op America (Now Green America). She studied publishing and editing at George Washington University after completing her B.A. at Macalester College.